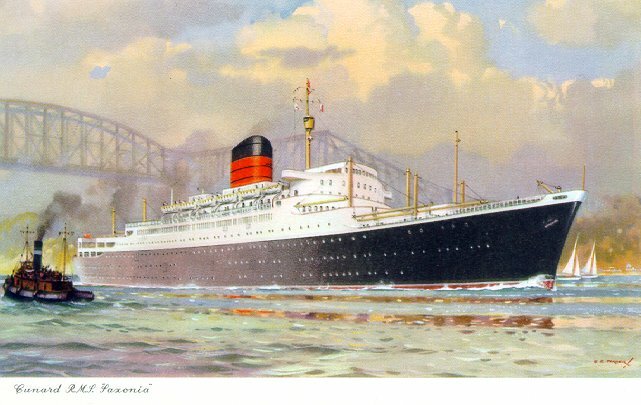 Launched in 1954 as Saxonia and renamed Carmania in 1963, this was the second Cunarder to bear each of these names. Built by John Brown & Co., Saxonia made her maiden voyage from Liverpool to Québec and Montréal on 2 September 1954. 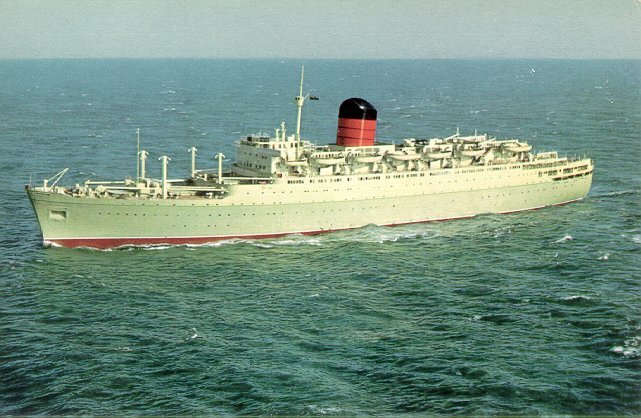 In 1957, she moved to the Southampton-Canada route, and started to be used for cruising. 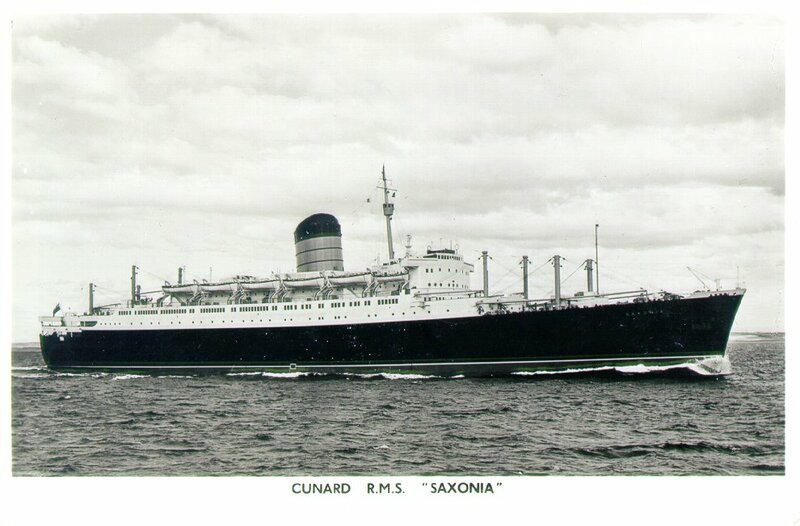 Saxonia was extensively refitted for this purpose in the winter of 1962-63 and painted green, like other Cunarders used for cruising. It was during this refitting that she was renamed Carmania. From 1963 to 1967, Carmania plied a Rotterdam-Southampton-Canada route and sailed on winter cruises in the Caribbean and on the Mediterranean. Laid up in 1971 due to a staffing dispute between Cunard and the National Union of Seamen, Carmania was sold to Sovtorflot in 1973 and renamed Leonid Sobinov.